Looking back on 2013, most manufacturers are likely to feel positive about the growth they experienced over the course of the year. Particularly in the past few months, signs of economic recovery poured in from a variety of sectors. Consumer confidence, it seems, also rose during the past 12 months, with record numbers of purchases being made on e-commerce sites during the holiday retail season. 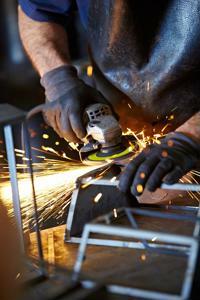 Now that 2014 is here, what might the new year have in store for manufacturers? Technology is becoming increasingly central to the way companies do business. With the advent of cloud computing, which makes data available easily from virtually any location, businesses have become more and more information-centric in their operations. The rise of big data analytics has coincided with that of cloud services, and executives are now deploying these programs in their strategic sourcing efforts. The technology's ability to analyze vast amounts of information makes it uniquely well-suited for the supply chain and its many complex, constantly changing factors. InformationWeek recently asked a variety of industry experts to offer their opinions on what the top manufacturing trends of 2014 would be. For Michael Rothschild, founder of Profit Velocity Solutions, the coming year will be characterized by big data's ability to break down silos within companies. "The companies that will prosper will learn how to harness their big data to achieve seamless integration and deeper insights, and pierce the silos. This is the next frontier for manufacturers," Rothschild wrote. The waning days of 2013 brought positive news for automotive manufacturing: Ford experienced its highest sales of passenger vehicles since 2000, and the United Kingdoms' auto industry now stands at its highest level in five years. In his section of the InformationWeek feature, Camber Advisors President Gerry Mendelbaum suggested that vehicle production would enjoy continued strength in 2014, resulting in a banner year for manufacturing. U.S. companies are now beginning to learn how to compete with offshore competition, and Corporate Strategy Institute CEO Sarah Layton thinks domestic manufacturing will develop a keener understanding of its niche in the global market. "Some believe electronics manufacturing will not return to the U.S. but the medical devices industry and other heavily regulated products will become stronger in the U.S.," Layton wrote in her column for InformationWeek. These predictions remind manufacturers that economic recovery is also an opportunity to reassess their business models, ensuring that their procurement and production practices are fit for a new and hopefully fruitful year.